It was while researching the information for this page that I noticed something. Most forms of education have produced famous graduates, but most of these graduates are in a certain field. East Coast prep school graduates go mainly into wall street, law and politics. 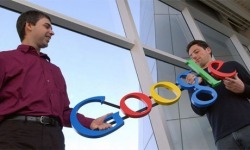 Larry Page and Sergey Brin– founders of the Internet search engine Google.com, have stated many times that their years as Montessori students were a major factor behind their success. They say that going to a Montessori school taught them to be self directed self starters that could think for themselves. They also state that a Montessori education gave them the freedom to pursue their own interests allowing them to “think outside the box”. William Wright – an American computer game designer who’s greatest success to date is as the original designer for The Sims games series; the best-selling PC game in history. 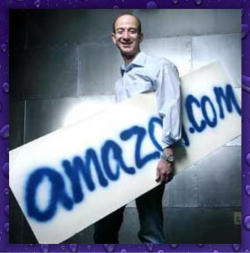 Jeffrey P. Bezos – founder of Amazon.com Inc., the most dominant retailer on the Internet, attended a Montessori School. By his mother’s account, the young Jeffrey got so engrossed in the details of activities at his Montessori school that teachers had to pick him up in his chair to move him to new tasks. 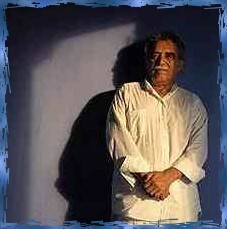 Gabriel Garcia Marquez – Nobel Prize winner for Literature attended Montessori de Aracataca for 5 years and credited his time there with making him fall in love with language.He said that Montessori Education gave him the desire to “kiss literature” and: “the taste instilled to him to go to the school, not only see literature but to write it.”. Jacqueline Bouvier Kennedy Onassis – editor for Doubleday, former first lady attended a Montessori school where she was initially described as a “headstrong child”. Through her time there, she learned to focus her behavior and academic pursuits. Katherine Graham – owner/editor of the Washington Post attended a Montessori pre-school where the newspaper owner first learned to read and write, instilling a love of the written word that would stay with her her whole life. “The Montessori Method- learning by doing-once again became my stock in trade…” from Personal History by Katharine Graham. T. Berry Brazelton – noted pediatrician and author Major hospitals throughout the world use the Brazelton Neonatal Behavioral Assessment Scale (NBAS). Many parents know him as the host of a cable television program What Every Baby Knows, and as author of a syndicated newspaper column. Dr. Brazelton has written more than two hundred scholarly papers and twenty four books. 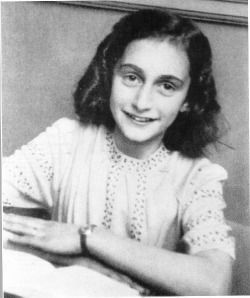 Anne Frank – renowned World War II diarist. According to her friend Hanneli Goslar, Anne showed aptitude for reading and writing at an early age., a talent that was nurtured in her Montessori school. She frequently wrote at school, and was outspoken, energetic, and extroverted, telling all, from a young age, that one day she wanted to be a published author. Beyonce Knowles – An American Pop/R&B singer, songwriter, actress and fashion designer. Born and raised in Houston, Texas, she attended St. Mary of the Purification Montessori School for her elementary years. She rose to fame in the late 1990s as the lead singer of the R&B girl group Destiny’s Child, one of the world’s best-selling girl groups of all time. Joshua Bell – American violinist and the owner of Stradivarius violin began taking violin lessons at the age of four after his mother discovered her son had taken rubber bands from around the house and stretched them across the handles of his dresser drawer to pluck out music he had heard her play on the piano. Lea Salonga – multi-awarded singer and Broadway actress best known for her role as Miss Saigon. She is recognized for having won the Olivier, Tony, Drama Desk, Outer Critics, and Theatre World Awards,as well as being the first Asian to play Eponine in the musical Les Miserables on Broadway. Ms Salonga was first exposed to acting while attending a Montessori school in , Metro Manila. Sean “P. Diddy” Combs – rapper and CEO of Bad Boy Records says he felt fortunate to attend Mount Vernon Montessori School during his childhood, “I feel like I was nurtured into wanting to be somebody special,” he recalls. Friedensreich Hundertwasser – Austrian painter and architect attended a Montessori school in Vienna, which influenced both his affinity for vibrant colors and respect of nature. He collected pebbles and pressed flowers as a child, demonstrating an interest in items that are precious and small at an early age, which later manifested itself in his collections of Venetian glass and Japanese fabrics. Peter Drucker – Management Guru is known as the father of modern management. A prolific writer, business consultant and lecturer, he introduced many management concepts that have been embraced by corporations around the world. Alan Ricman– is a renowned English stage actor and theater director known for both his modern and classical productions. He is a former member of the Royal Shakespeare Company, and is known best for his film performances as Hans Gruber in Die Hard, Severus Snape in the Harry Potter film series, Eamon de Valera in Michael Collins, and Metatron in Dogma. As a child Rickman attended Derwentwater Primary School, in Acton, a school that followed the Montessori method of education. One of People magazine’s breakthrough stars of 2001, Anne Hathaway became a children’s role model with the making of films such as The Princess Diaries and Ella Enchanted. She transitioned into more mature dramatic roles after The Princess Diaries 2, being nominated for both an Academy Award and a Golden Globe in 2010 for her role in Rachael Getting Married. Later that year she hosted the Nobel Peace Prize Concert in Oslo, Norway, and in 2011 co-hosted the 83 Academy Awards. Elizabeth Berridge – award-winning theatre actor best known for her tour-de-force in Milos Forman’s Amadeus or her comedic turns on The John Larroquette Show and Grounded For Life. Julia Child – first world-famous television chef who clearly enjoyed her work. She exuded a sense of fun, and inspired others to try new things. she also credited her Montessori experience with her love of working with her hand, finding fun in her work, and her joy of working with others. Sara Gilbert – an American actress best known for her role as Darlene Conner-Healy from 1988–1997 in the U.S. sitcom Roseanne.